The central lunatic asylum is today known as central state hospital, and its chapel has been on the National register of historic places since 2010 as a symbol of the states unequal treatment of African-American's during the segregational period. 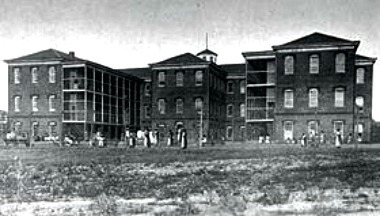 Founded in 1870, it was the first asylum in America to offer treatment exclusively to the black population. 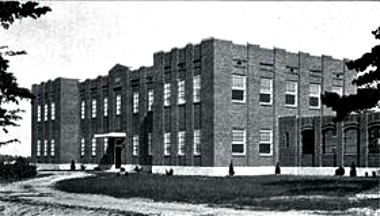 Though this treatment wasn't really treating anything since the reasons for admission to the facility included things such as abortion, desertion, emancipation, marriage, masturbation, and typhoid fever. As you can imagine being admitted to an asylum for catching typhoid isn't exactly fair, and being treated like you're crazy for being ill can only end badly, especially for a population which at the time were treated as sub-human. 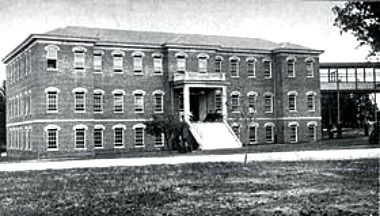 The hospital expanded steadily up until 1904 to accommodate for whoever was unlucky enough to be sent there, adding buildings such as the building for "male psychopaths" or the building for "delinquent and feeble-minded girls" which was built with a 100 foot walkway surrounded by barbed wire leading directly to the main building. The hospital continued to operate until a case in 1980 led to its demise, around 1700 patients were sterilised without giving their consent. 4 of these past patients won a lawsuit against the hospital, which forced them to notify every patients which was sterilised between 1924 and 1973 without their consent, and to pay for a reversal operation. So is the Central Lunatic Asylum Haunted? Any asylum that was operating before or during the early 1900's was definitely somewhere to avoid, no matter how "sick" you are. Treatment in these facilities was experimental at best and many of the patients died from such practices. One of the most commonly believe theories at the time was that insanity was caused by infection, which led to many people having everything from teeth being pulled out to limbs amputated for being infected. Any asylum of this time would have mistreated its patients in some way, and since this was a place for people who were looked down on and classed as much less important, the care and treatments at this hospital were much below that of other asylums. This was to the point were the ward that was to house patients that were classed as suicidal was much less furnished, since it didn't seem worth spending a lot on a room to house someone who would die soon. Today most of the old buildings stand abandoned and bars have been placed over the doors and windows, but that still hasn't stopped people reporting phenomenon here. The wards where the suicidal were kept is said to be the hot spot, with people claiming they are overcome with an intense emotion of sadness or fear, to the point were they have had to flee the building. Lights and strange glows are the most commonly reported activity here, with stories of everything from bright blue floating orbs to strange glowing white mists which seem to float through walls. Apart from this there is pretty much every other story going for this place, tales of people being chased by apparitions and being attacked by ghosts inside the building, but whenever somewhere like this becomes known as being haunted the camp fire stories normally increase massively. But anywhere that has a past such as this one and even the name "central lunatic asylum" just has to be haunted, right?